A winter storm is on its way to Montreal. “Hazardous winter conditions are expected. 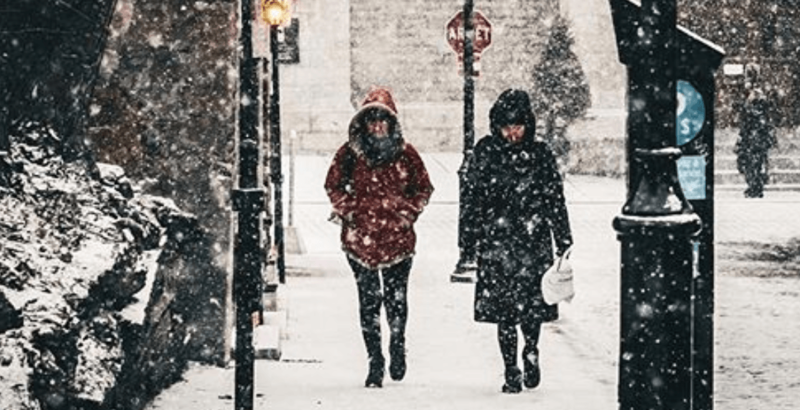 Drastic changes of temperatures, freezing precipitation and snow expected over the next 24 hours,” said the weather agency. While today’s forecast calls for rain and a high of 10°C, the rain will change to freezing rain and snow later in the evening. At least 10 cm of snow is expected to fall overnight. Environment Canada says that snowfall will continue into Saturday and heavy amounts (10 to 15 cm) are expected. It’s probably best to stay indoors this weekend!